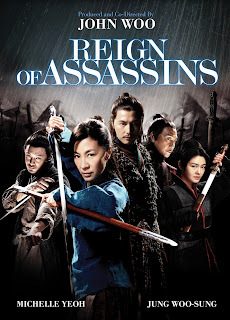 Anchor Bay Entertainment and Radius recently send us over information for their upcoming DVD release of "Reign of Assassins". The film stars Michelle Yeoh (Babylon A.D., Crouching Tiger Hidden Dragon, Crouching Tiger, Hidden Dragon: The Green Legend), Jung Woo-Sung (The Good, The Bad, The Weird; A Moment to Remember, The Warrior) and Xueqi Wang (Iron Man 3, Bodyguards and Assassins, Warriors of Heaven and Earth). "Reign of Assassins" hits retail on November 1st. Michelle Yeoh (Babylon A.D., Crouching Tiger Hidden Dragon, Crouching Tiger, Hidden Dragon: The Green Legend), Jung Woo-Sung (The Good, The Bad, The Weird; A Moment to Remember, The Warrior) and Xueqi Wang (Iron Man 3, Bodyguards and Assassins, Warriors of Heaven and Earth) star in Reign of Assassins, the exciting martial arts thriller produced by the legendary John Woo (Mission Impossible: II, Face/Off, The Killer), arriving on Digital HD & On Demand and on DVD from Anchor Bay Entertainment November 1. 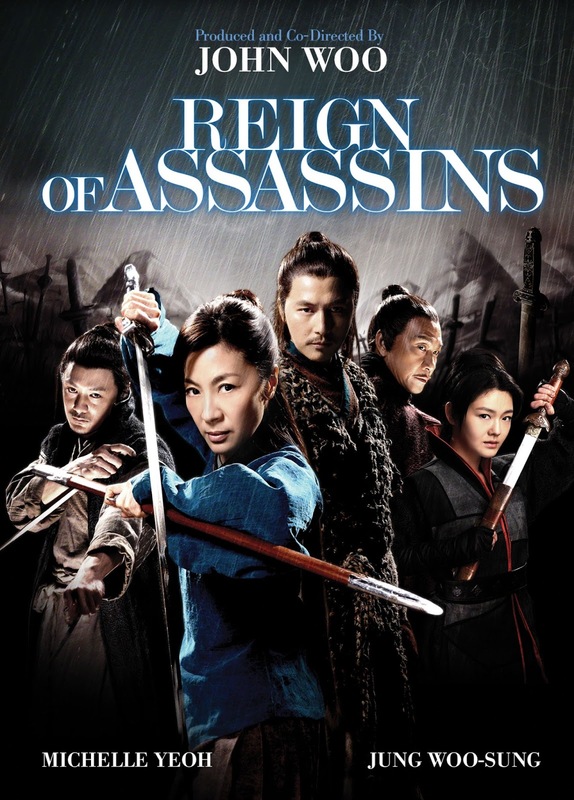 Directed by Su Chao-Pin, Reign of Assassins is the winner of two Hong Kong Film Critics Society Awards including Best Director & Film of Merit, and also received 11 Hong Kong Film Award nominations, including a Best Picture nomination. Reign of Assassins will be available for the suggested retail price of $19.98. Produced by John Woo and Terence Chang, this epic martial arts action thriller promises to be FACE/OFF meets MR. AND MRS. SMITH. Set in ancient China, the film stars Michelle Yeoh as a skilled assassin who is on a mission to return the remains of a mystical Buddhist monk to their resting place. The remains are believed to hold a powerful secret. Along the way, she falls in love with a man named Jiang, whose father was killed by her gang. Unaware that he also is a trained martial artist, their love blossoms but tensions arise as the truth of her past unravels. Soon, a lethal triangle surfaces between her, Jiang and the team of assassins that are after the monk’s remains.